Leave support to the pro’s. TorGuard helpdesk is made of qualified & dedicated individuals. We’re here to help so you can get back to what’s important. Our staff are relentlessly committed to security and our customers’ rights to protect their online information and activity. 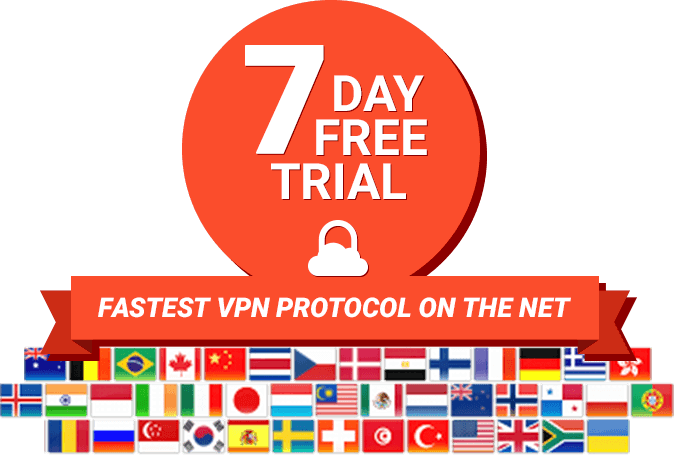 TorGuard’s anonymous VPN encryption comes with unlimited bandwidth and upload/download speed, 24hr customer support for any setup problems or other issues you might have, and the peace of mind to enjoy the internet stress free. Our software is easy to install on any OS including Windows, Mac, Linux, Android and iOS. We also fully support VPN routers like DDWRT, Tomato and pfsense firewalls. The BitTorrent network allows millions of users from all over the world to share data such as movies, video games, music and images. While it's very practical, it does come with some security risks. The network relies on transparency and openness to work, so the IP addresses of all users can be seen by anyone else they're interacting with. This is bad for those who care about their online anonymity. Government agencies, Internet providers and various big corporations have been known to spy on users who share torrents and collect information, such as the types of files they share and who they share them with. TorGuard gives you the tools to use P2P file-sharing applications like BitTorrent securely. Our encrypted VPN hides your IP address from the world and protects your Internet traffic so that nobody can intercept either incoming or outgoing data. At TorGuard, we know that different people like to use different torrent applications. This is why our service is fully compatible with all apps that share files by using the BitTorrent protocol. 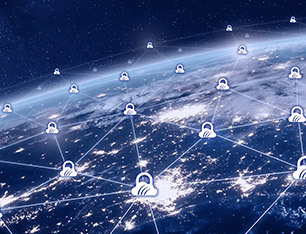 Whether you use Vuze, qBittorrent, uTorrent, Deluge, Transmission or any other client to connect to the P2P network, our VPN service will keep you protected. We have secure VPN clients for all platforms, Windows, Mac and Linux. We also have mobile clients for iOS and Android devices. No matter what kind of device you use to get online and share files through torrents, we guarantee that our VPN service will work for you. As P2P file-sharing services like BitTorrent tend to use a lot of bandwidth, many networks block access to them. Some even block common torrent tracker websites. This is especially the case with public Wi-Fi networks, like those found in restaurants and train stations. Our VPN service gives you completely private Internet access, letting you not only browse the web anonymously but also bypass censorship and access the online services that you want. If the network that you're connected to blocks torrents or throttles them significantly to reduce your download speed, TorGuard is there to help. By installing our simple VPN app on your device, you'll connect to our secure, encrypted and reliable VPN network. As all of your traffic will be encrypted, the network provider won't be able to know that you're using torrents, which allows you to bypass their censorship attempts and use the Internet to its fullest potential. At TorGuard, we take the privacy of our users very seriously. This means that unlike many other VPN services, we don't keep logs of your online activities. We never collect information about your browsing habits or torrent use. We don't share your personal information with advertisers either. When you use our VPN service on your PC or mobile device, you can be confident that you're connecting to a highly secure service that doesn't retain records of what you do online. Some network operators are aware of the existence of VPN services used to bypass censorship and firewalls. They use techniques such as deep packet inspection to block connections to VPN services or restrict access to the BitTorrent network, even if you use a VPN. TorGuard is a stealth VPN service that is powerful enough to bypass such attempts at censorship and privacy invasion. Not only is all of your traffic securely encrypted, it's also disguised to make it look like regular web traffic. Thanks to our service, nobody will be able to know that you're using torrents or which websites you're visiting. At TorGuard, we take great pride in having one of the fastest and most reliable VPN networks on the planet. As we have more than 3,000 servers in 50 countries, we can provide you with extremely fast service that doesn't constantly have issues with bottlenecks like most free VPN providers. With TorGuard, you can browse the web, watch streaming videos, listen to online music, play video games and share files through your favorite P2P apps without worrying about your connection slowing down for no reason. Not only is our VPN service one of the fastest around, it's also fully unlimited. There are no bandwidth limitations, so you can upload and download as many files as you want when you use your favorite BitTorrent client. We don't throttle your connection speed once you've used too much bandwidth, either. With TorGuard, you can use one VPN account to connect up to five devices to our service. 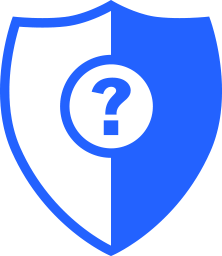 That way, you can get all of the benefits of our anonymous VPN service on your PC, smartphone, tablet or any other Internet-enabled device you use.